The main trend is still bearish. 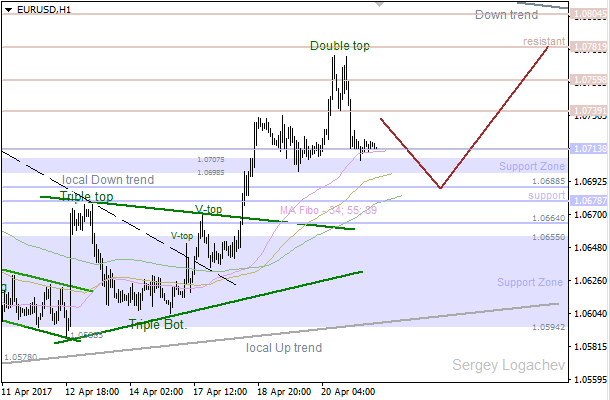 The price faced a resistance at 1.0781, so we’ve got a “Double Top” pattern, which led to decline to a support at 1.0713. However, bears are likely going to continue moving down towards the next support at 1.0701 – 1.0688. If a pullback from this area be on the table, there’ll be an opportunity to have another bullish price movement. There’s a “Double Top”, which has been confirmed. 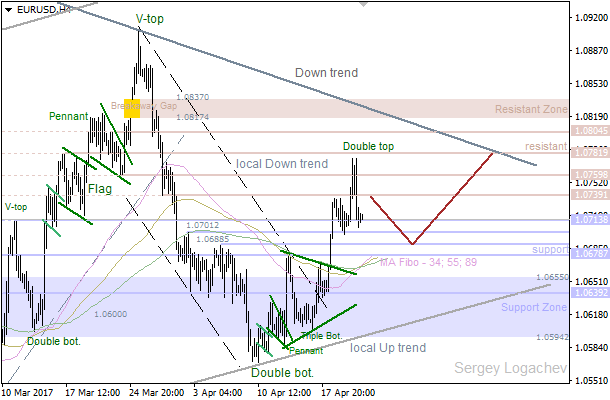 Therefore, the market is likely going to reach the nearest support at 1.0698 – 1.0688. Meanwhile, if we have a pullback from these levels, bulls will probably try to achieve a resistance at 1.0759 – 1.0781.